Flexible Departure : April to October. 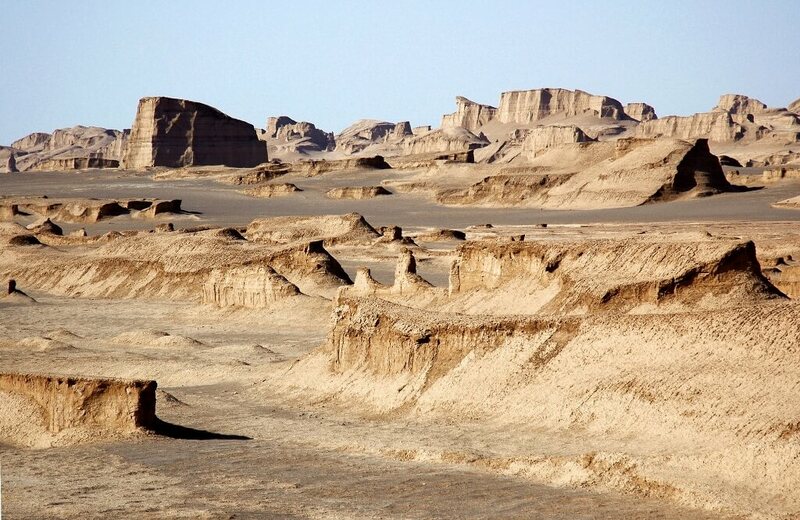 A land of incredible diversity and phenomenal beauty, Iran was once the thriving heart of the mighty Persian empire. A nation of heart-warming hospitality, mouth-wateringly wonderful food and some of the most beautiful cities on earth, this is a place that leaves every visitor wanting more. 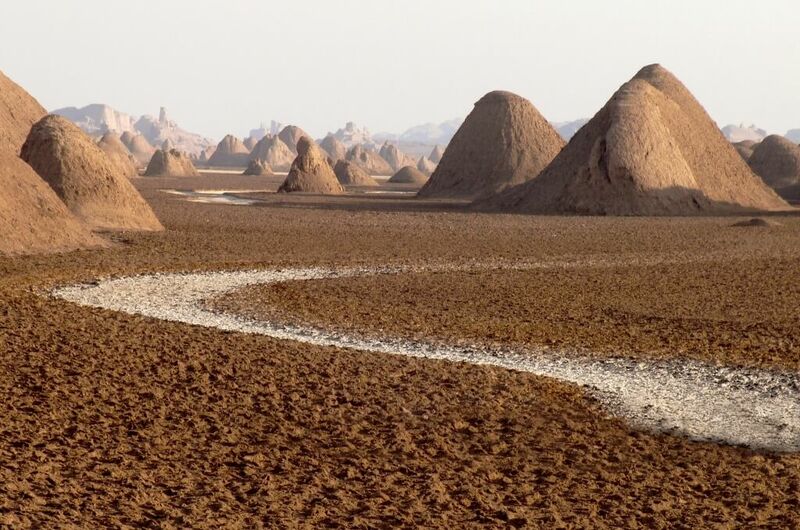 This fabulous itinerary lets you discover some of the most iconic Silk Road sights in Iran. 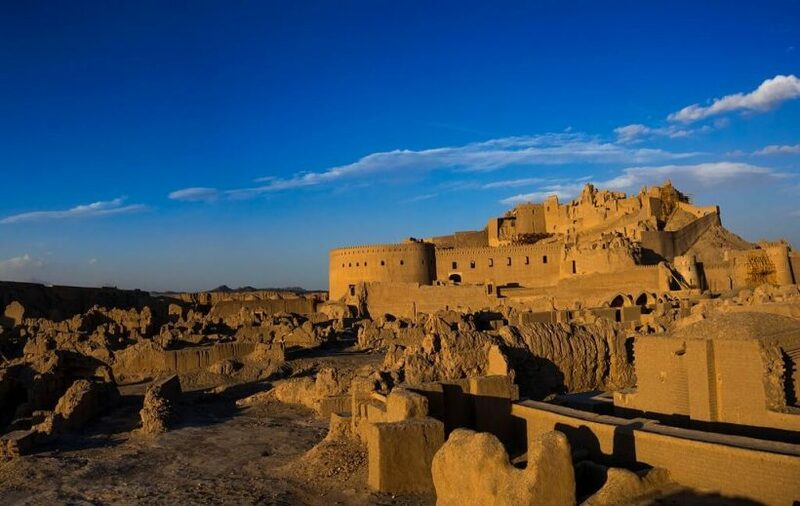 You’ll stroll through the bazaars of the capital Tehran, fall in love with the pleasure gardens of Kerman, encounter Hafez in Shiraz, marvel at the ruins of ancient Persepolis, barter with carpet sellers in Yazd and be astounded by the beauty of Isfahan. But above all you’ll fall in love with the Iranians themselves – and of course their superlative-defying food. Bustling cities, ancient ruins, sumptuous food, silent deserts, starry skies and history galore – this is a fascinating trip that will stay with you forever. DEPARTURE TIME Please arrive on the date that this trip is scheduled to depart. We’ll pick you up at the airport and be with you throughout this amazing trip. Minimum group size 2 persons. Maximum 10 persons. Arrive in Isfahan. 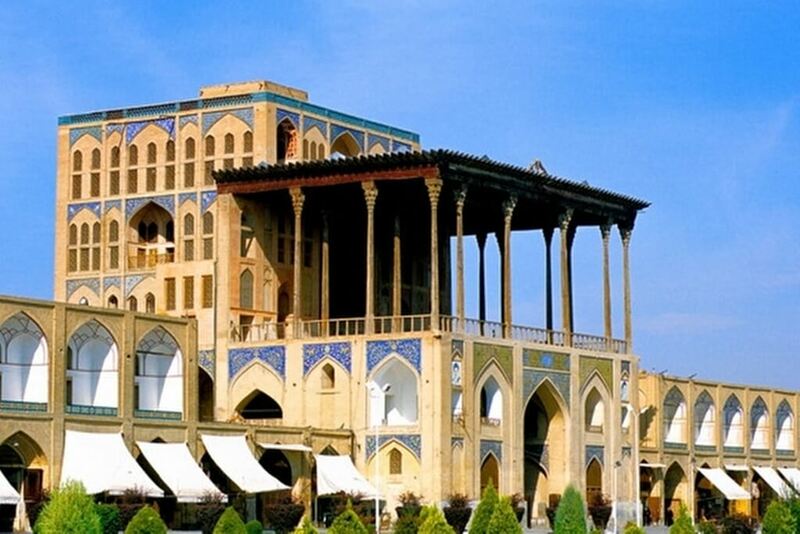 You’ll be met at the airport and transferred to our hotel in Isfahan. Today we have a full day to explore this incredible and very beautiful Silk Road city – either on your own terms or with our guide. 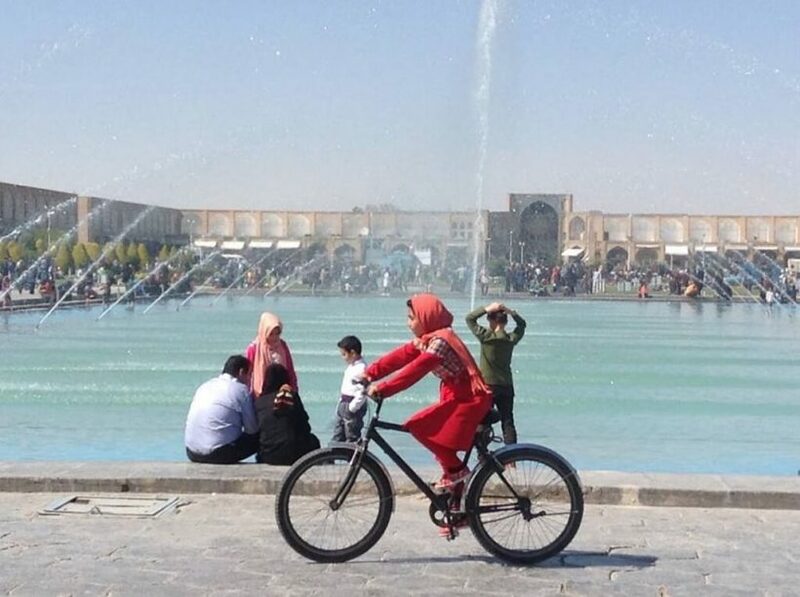 Sights include Naqsh-e Jahan Square, the Imam / Shah Mosque, Sheikh Mosque, Ali Qapu Palace, the Grand Bazaar of Isfahan with its local artisans and handicrafts and Vank Armenian Cathedral. 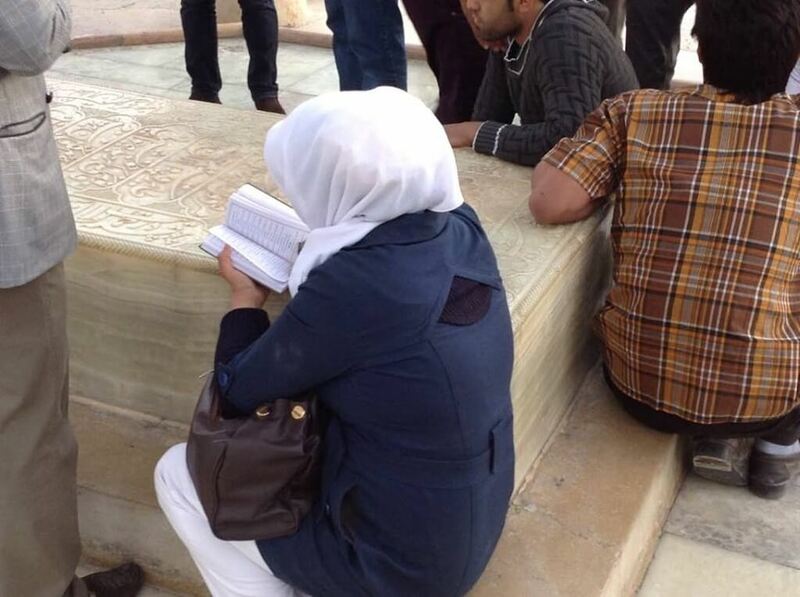 We’ll have time to meet some carpet sellers too for another authentic Silk Road experience! 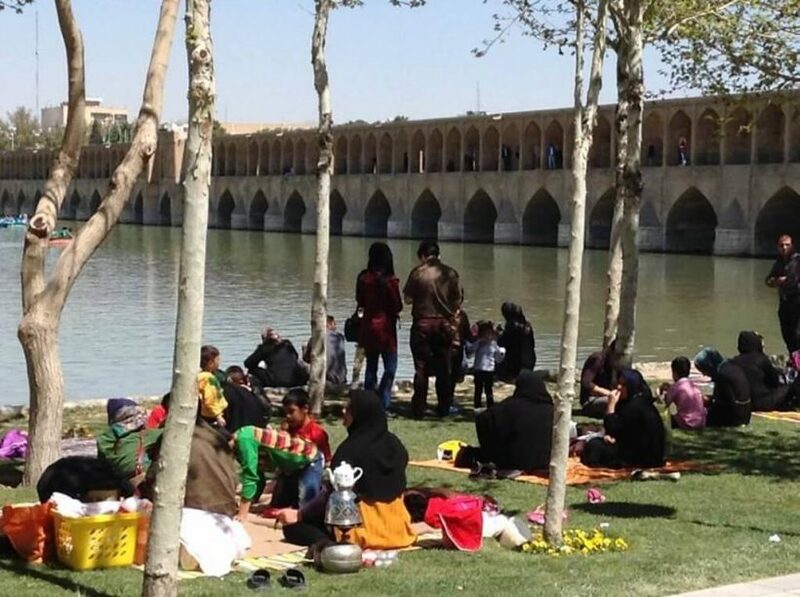 This evening we’ll have dinner in Jofla Armenian district plus an evening stroll on one of iconic bridges of Isfahan and Chahar Bagh Boulevard. Delightful. An early morning visit to the Friday Mosque of Isfahan (UNESCO world heritage site) will start out day on the right note, before a four hour transfer to Yazd – the first Iranian city to have a historic center designated as a UNESCO world heritage site. Outside of Yazd we’ll stop in Meybod to have lunch in a traditional home. 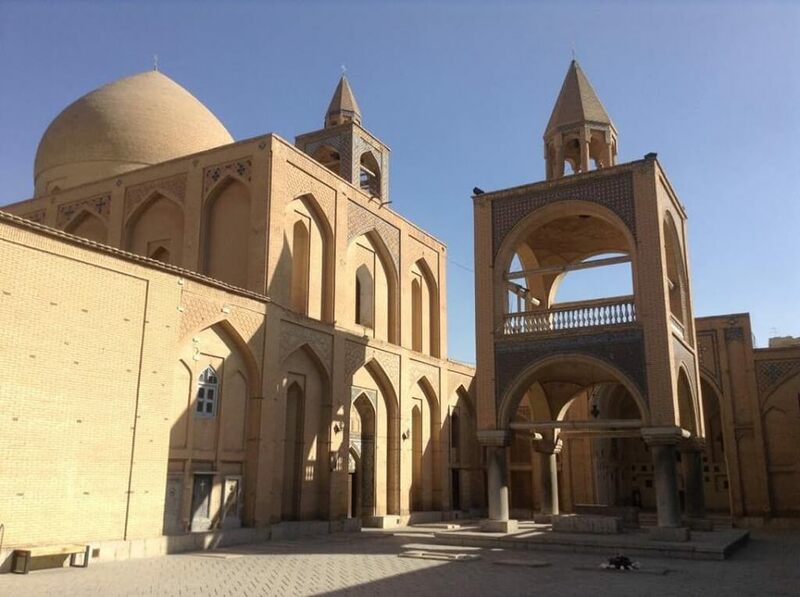 In Yazd itself we’ll have an introductory walking tour of the historic Fahadan neighborhood including Amir Chamagh square and the water museum. In the evening we’ll visit the Zuhrkhane “house of strength” – a place where Zoroastrian ritual, spiritual practice and wrestling meet. We’ll have supper on a rooftop overlooking the city before retiring to a traditional hotel for the night. This morning we’ll visit some key Zoarastrian sites in Yazd, including the Towers of Silence and Fire Temple, as well as visit the Grand Bazaar. Here you’ll find Termeh textiles. If you haven’t heard of them but have ever seen a paisley pattern, then you’ve looked upon one of the motifs often employed in termeh textiles – known here as a ‘botteh’. These textiles are as intricately woven as they are linked with the Silk Road itself, being printed on silk and wool mix cloth for hundreds of years. We’ll have time for baklava tasting and tea, visit the Dowlat Abad gardens and spend our evening at the Zein O Din caravanserai. 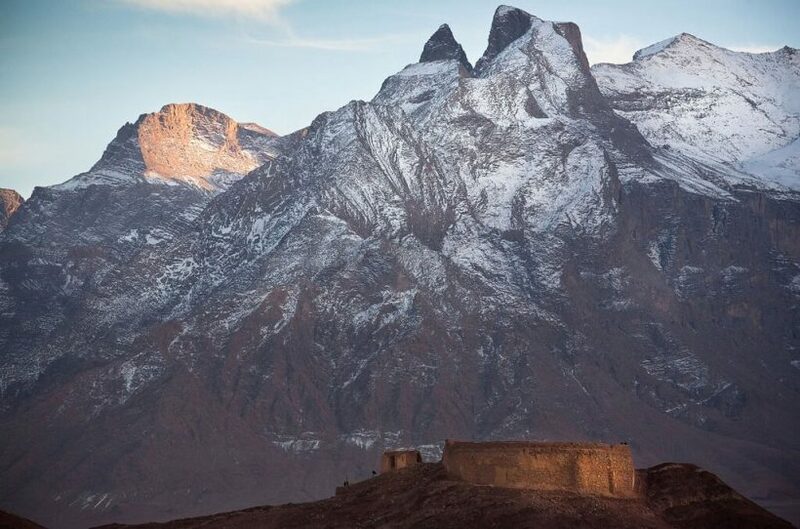 Smack-bang on the Silk Road and dating from the 16th Century, this will give you a really flavour of history in a glorious setting. After a leisurely breakfast we will make our way towards Kerman, stopping in Rafsanjani to visit the President Rafsanjani Museum on the way and sample some pistachios! This is the pistachio capital of the world and they are delicious…! We’ll have lunch in Kerman and explore the bazaar of this famous Silk Road city, including the historic manufacture of carpets. We’ll have a traditional Kermani supper at a local restaurant before retiring to our hotel for the night. Sunrise and breakfast in the desert starts our morning! We’ll then have a three-hour morning drive to the ancient city of Bam – the world’s largest earthen city (and a UNESCO world heritage site). Bam was tragically much destroyed by an earthquake in 2003, with great loss of life. There has been a huge amount of rebuilding going on, and whilst you can’t replace what was lost, the reconstruction gives a very evocative idea of what had been standing here for two thousand years or more. While in Bam we’ll also sample dates and date-based products – Bam has the best dates in the world and this is the major industry here. 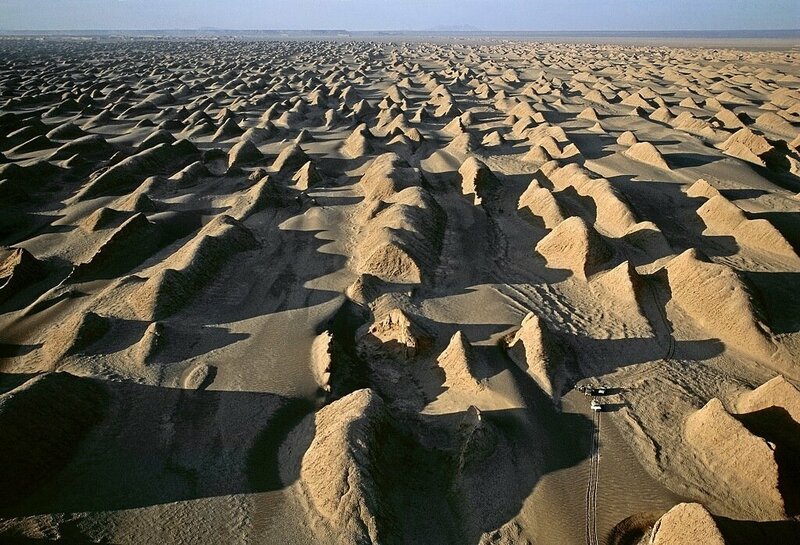 We’ll then drive two hours to visit Mahan’s Shazdeh Gardens (yet another UNESCO world heritage site). A late afternoon stroll around the gardens and beautiful Nematollah Shrine will leave us with less than an hour’s drive to Kerman and our hotel for the night. We will skedaddle onto the road fairly early this morning and head around 3.5 hours towards historic Sarvestan have lunch. 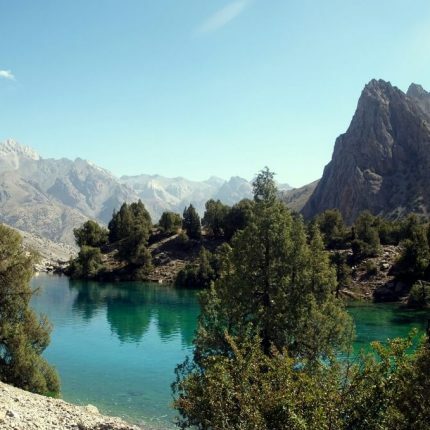 We’ll see the ruins of the 5th Century AD Sassanid Palace and then have a calming stroll walk in the Ghanibi valley, known for its springs and almond and pistachio trees. 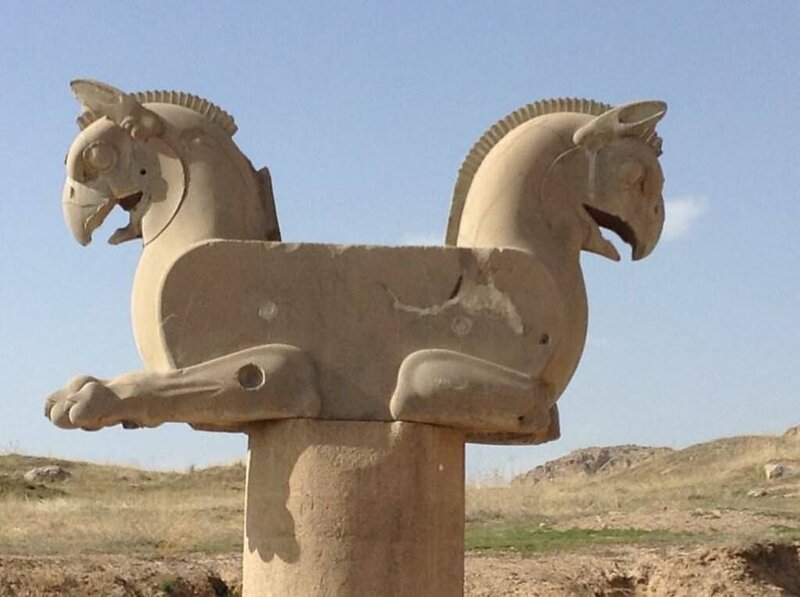 An hour later we will reach Persepolis, where we’ll spend the night close to the ancient city. A chance for early risers to see Persepolis at sunrise, and a morning visit to this UNESCO world heritage site, before the main day-trip crowds arrive. 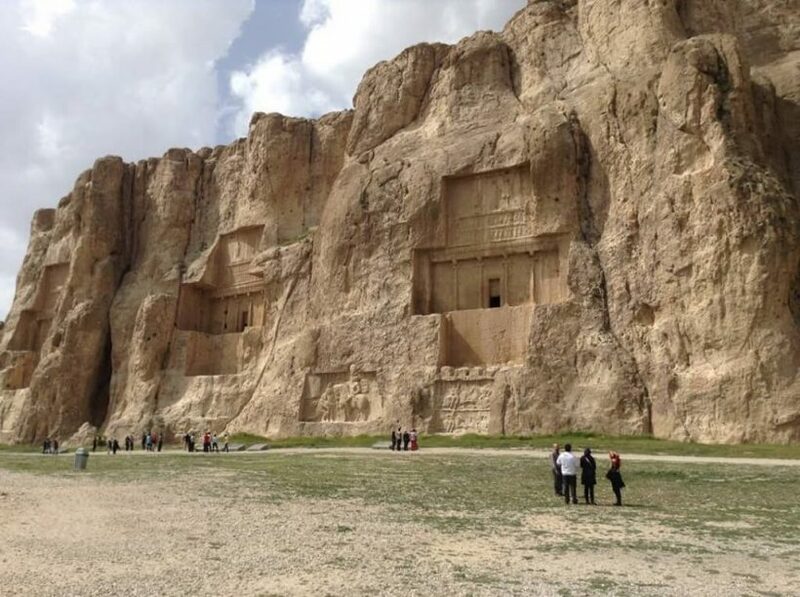 Following our lunch we’ll continue to the site of Naqsh-e-Rostam (about 15 minutes away) and then onto Pasargadae (which Joanna Lumley and the crew adored), before heading to Shiraz for the evening. We’ll have time for an evening visit to Shah Cheragh Shrine or the Hafezieh for those who have the energy after a day in ruins of ancient empires! We’ve all day to soak-up the sights of Shiraz, of which there are plenty. We can offer a guided set of visits or you can spend your time here as you wish. 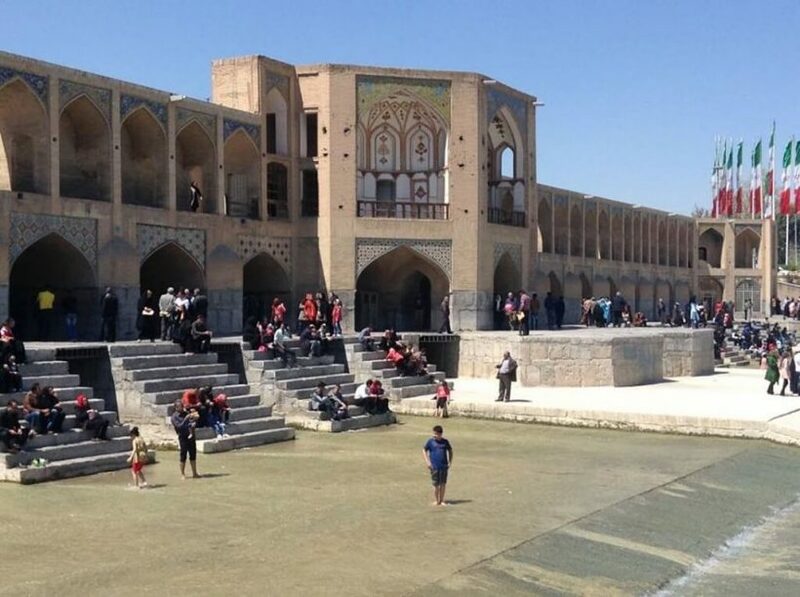 Key among the sites to visit are the Nasir-ol-Molk (Pink Mosque), the Vakil bazaar and mosque, the Zand-era citadel, the Quran gate, Qavam House and Gardens, Eram Gardens Shiraz carpets and so much more. We’ll have the option to try local food specialities such as faloodeh, torshi and karam polo, followed by dinner in a local home. We’ll then repair to our comfortable hotel. 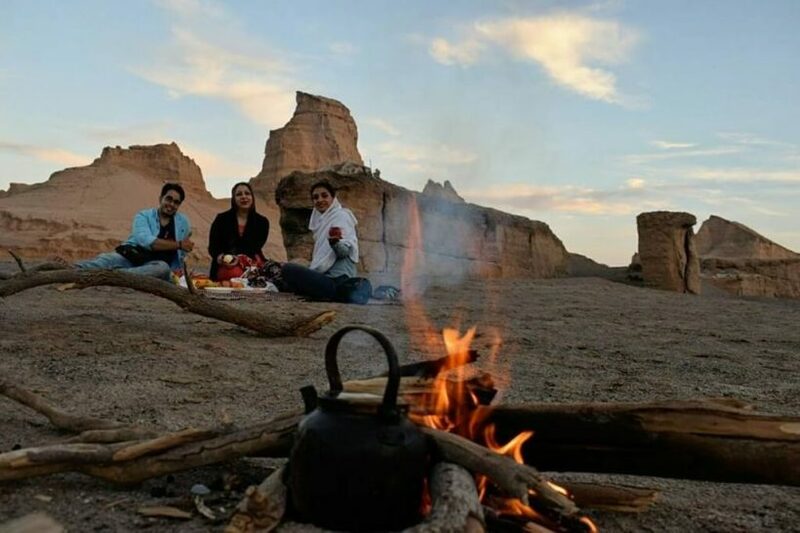 After a gentle start, we’ll have a short transfer that will bring us to the traditional village of Ghalat, about one hour from Shiraz, where we’ll enjoy a local lunch and a walk up to the natural waterfalls and pools in the Ghalat gorge, before returning in the late afternoon to Shiraz. A farewell dinner is on the cards this evening and we’ll wish you all safe travels. The suggested Turkish Airlines flight departs at 03.00 tomorrow morning so we’ll transfer you to the airport around midnight. We will get you to the airport in good time for your flight home early this morning. You’ll fly away with wonderful memories of Iran and its people. We’ll be staying in a variety of accommodation – from larger hotels in Isfahan and Shiraz, to local hotels in Yazd and Kerman and wonderful, family-run guesthouses and even camping in the Kalout Desert. 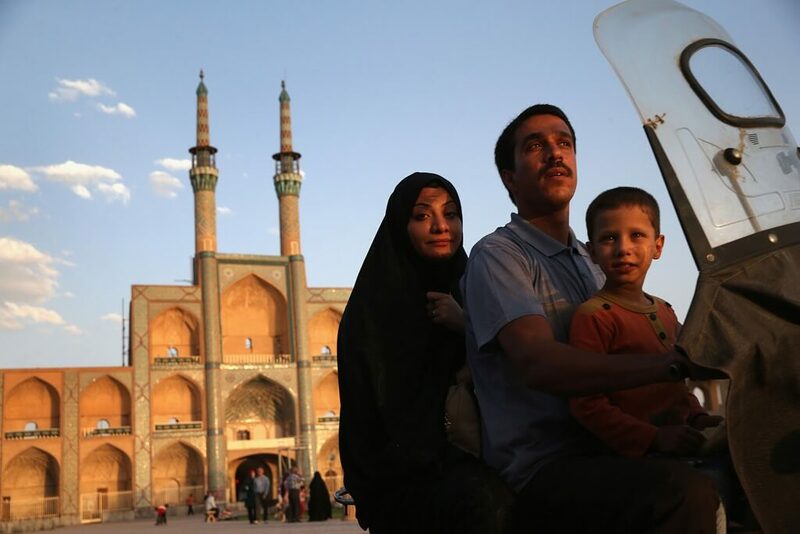 The accommodation has been chosen to give you a real glimpse of life in Iran. Our group sizes are always small, allowing for an intimate experience of the cultures we meet along our path. On this trip we won’t have more than ten guests, plus our local guides and drivers. We usually find groups are made of like-minded people, both male and female, from a wide age range. How is this different to other ‘Silk Road’ expeditions I’ve seen? We have been living, breathing, reading, researching and travelling the Silk Road for the past five years and – with this trip – are in the unique position that one of our directors, Antonia Bolingbroke-Kent, was the producer on Joanna Lumley’s ITV Silk Road series. We have worked hard to bring you something unique, and we believe this itinerary will deliver. In spring you can expect pleasantly warm days around 16-20 degrees and cool nights – down to around 5 degrees – especially in the desert. In summer the heat is ramping-up and can reach 40 degrees, so bring a good sun hat and cool clothes! In autumn the fierce heat gives way to balmy evenings and a lovely – though busier – time of year. But have no fear, we will supply you with a detailed packing list after you’ve signed up. We try not to as we don’t believe that solo travellers should be penalised with extra charges. It goes against our ethos, so unless totally unavoidable or astronomically expensive, all costs are included in the expedition price. In the case of this Iran trip, we will get single rooms in some places but in others the accommodation is based on two sharing a twin room. If you’d like to book single accommodation throughout then there is a supplemental payment of £310 that we must charge, sorry! We will provide you with an information pack after signing up to this trip, and this will detail any particular equipment we think either necessary or useful. What vehicles will we be travelling in? We’ll be travelling by small ‘midi’ bus in comfort to most locations on this trip. 4×4’s are not necessary. This is a moving feast! It depends on where you are travelling from and how you want to get there. 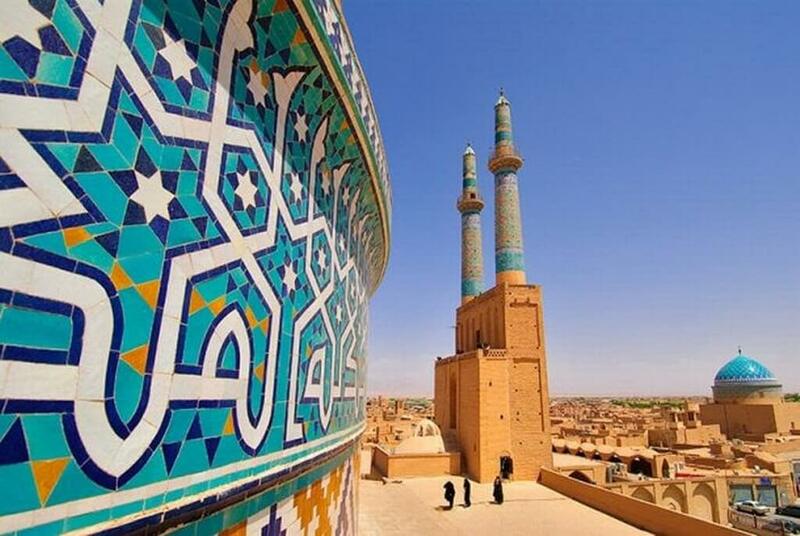 From London, it’s around £500 return (outbound to Isfahan and return from Shiraz) with Turkish Airlines via Istanbul. We can offer flight inclusive packages also though. Again, we’ll send you an information pack containing all the information you need when you book your place. Very, very good. 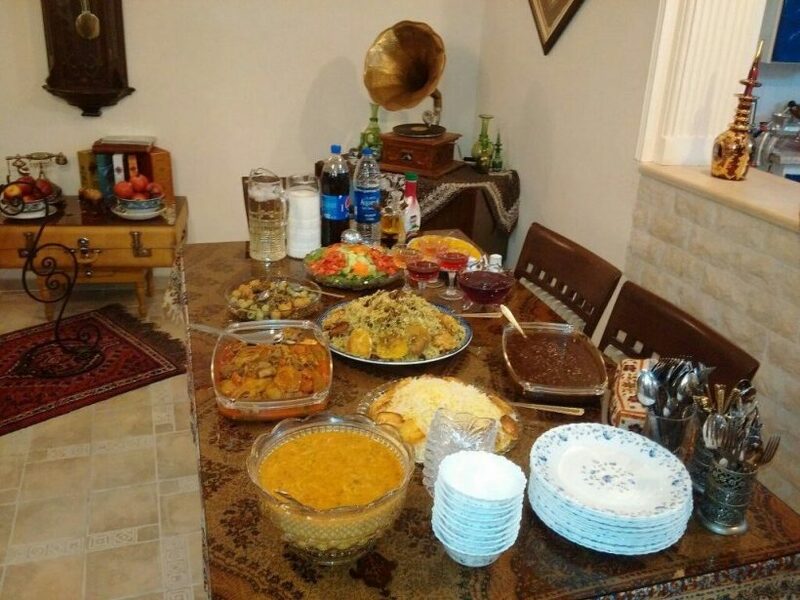 The food in Iran is justly famed and you’ll enjoy a dazzling array of dishes. Vegetarians are well catered-for and you’ll also have meat and fish. This isn’t the country to come on a diet! Yes, at times. There will be hotels and guest houses where we will have separate rooms and wherever possible we will arrange this, but there will also be times where we are staying there is scant option but to share rooms. This is all part of the adventure, and a reason we love to travel here. It makes sense for light sleepers to bring earplugs, in case of snorers. Yes. We are members of TRIP – the Travel Risk and Incident Prevention Group – and perform detailed country risk assessments prior to departure, in line with the ISO 31000 international standard for risk assessment. We also maintain close contact with the relevant Foreign and Commonwealth Office advice for countries we plan to visit, in addition to making use of the Australian Smart Traveller assessment tool, and the US State Department’s OSAC service. Beyond this, we have a full set of risk management and disaster contingency plans for each expedition and are expedition first aid trained by Crux Medical. For final back up we also use the services of Remote Medical Support that allows us to have a UK expedition doctor on the end of a telephone line wherever we may be. And we always carry a satellite phone. We really don’t mess around when it comes to safety. Yes. 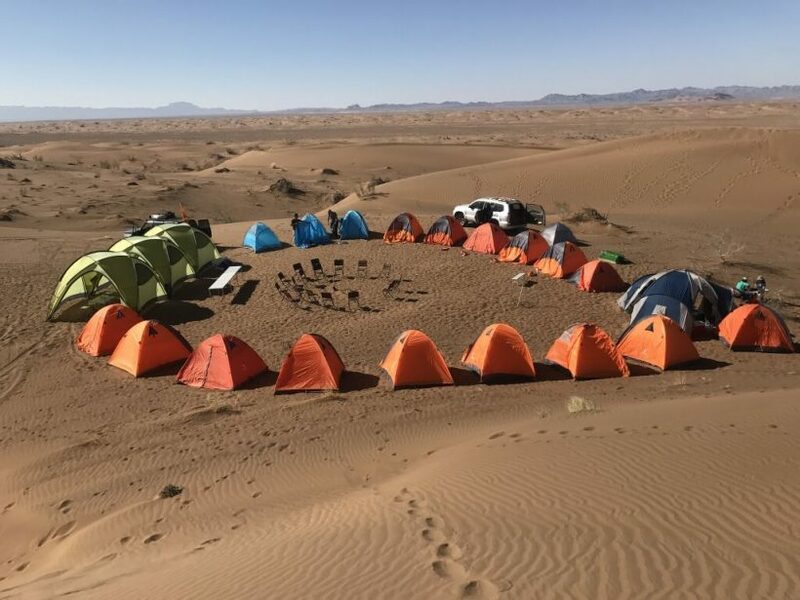 We offer set group dates for many of our expeditions, but we can organise and deliver bespoke expeditions to groups and individuals to suit your itinerary and budget. More information is available on our Tailor Made tours page. Is it a guaranteed departure? As with any new, pioneering itinerary we need to reach a minimum number of guests to make this viable. For this trip, we need a minimum of 2 guests. 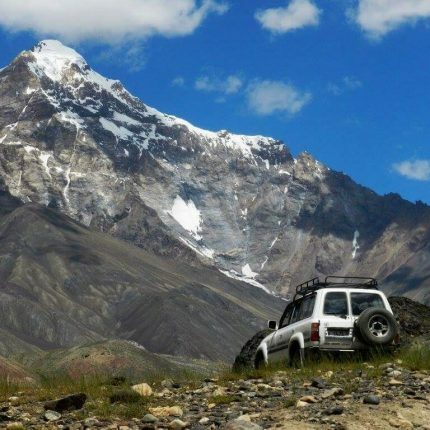 When you express interest in this expedition, we will send you a deposit invoice to hold your place. This is refundable according to our terms and conditions if we do not reach the minimum numbers. We recommend that you do not book your flights or other arrangements until we have communicated that the expedition is definitely departing as planned and will aim to do this in order to give you at least 5 months prior to the scheduled departure in which to make your travel arrangements. We are very proud of the routes we design and the way in which we travel them. We don’t cut corners and we plan meticulously. We are a small company that treats every guest as our friend and you won’t find that kind of service in many places. 85% of our customers have re-booked to travel again with us and some of them come on a trip every year. Our partners and guides are carefully selected to work in the way we prescribe and our relationships are developed in the long-term. 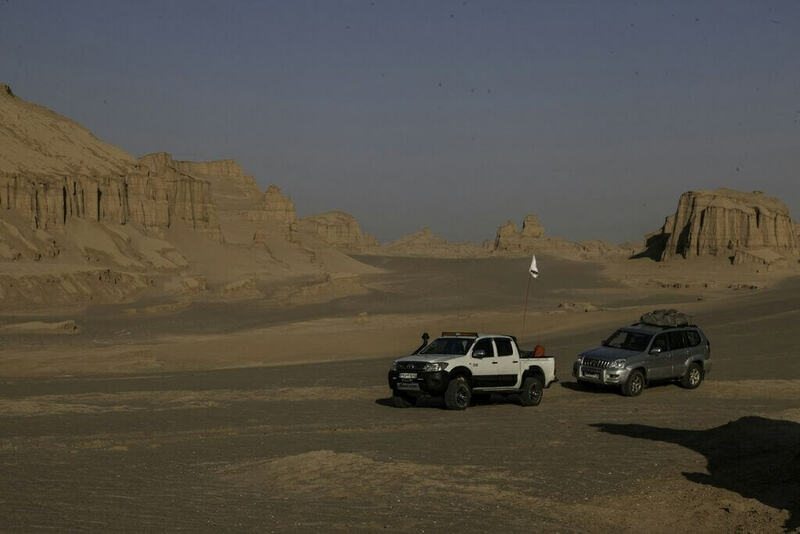 We also do annual expedition and remote medicine training and pay for 24/7 remote medical assistance cover. We employ professional military-grade risk assessments and plan for every possible negative scenario whilst hoping that none ever come to pass. We take our obligations to you and your safety very seriously and this all does cost money. We think the price offered represents great value for money. If you love adventure, new places, friendly people, wild landscapes, history and culture then yes! 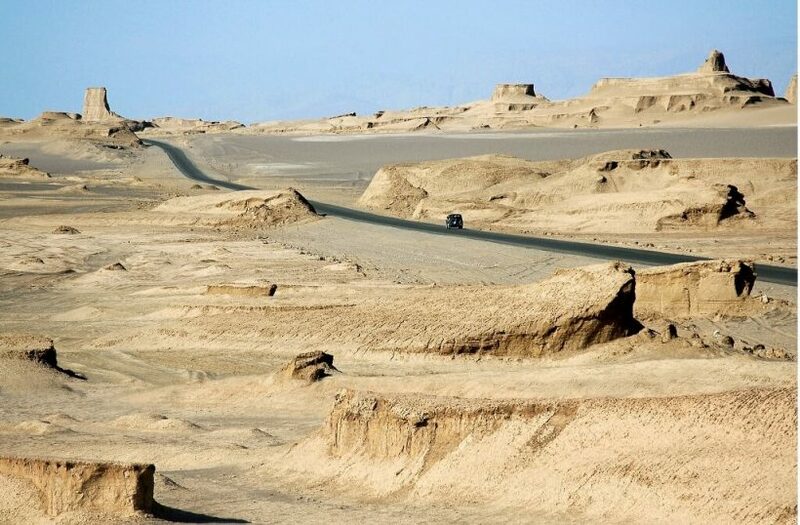 However, if you’re the sort of person who is going to be worried about the lack of flush loos in a desert camp, might complain that the road to Persepolis is too bumpy (it isn’t!) or frets about Wi-Fi availability, then this probably isn’t your bag. 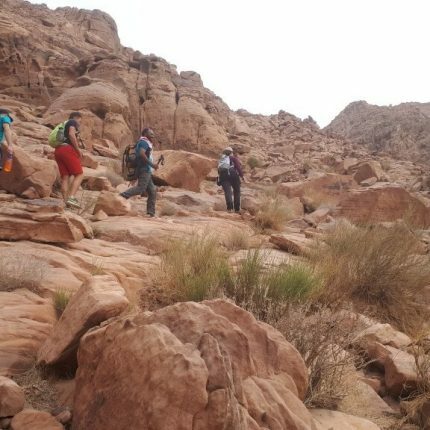 Dana to Petra is arguably the best part of one of the top long-distance trails in the world. This is spell-binding walking through diverse and vibrant nature, history and culture. Two glorious weeks of trekking and mountain biking among some of the most majestic mountain scenery we’ve ever seen. Plus plenty of opportunities to get to know the warm, welcoming Tajiks.